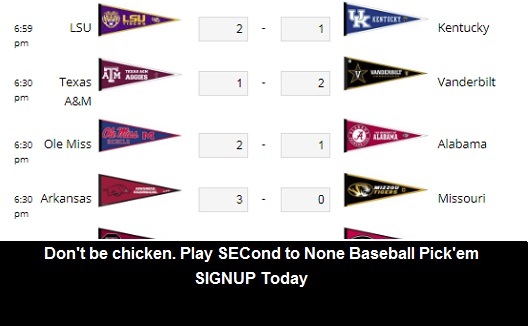 The third week of SEC Baseball league play was full of big wins and surprises. 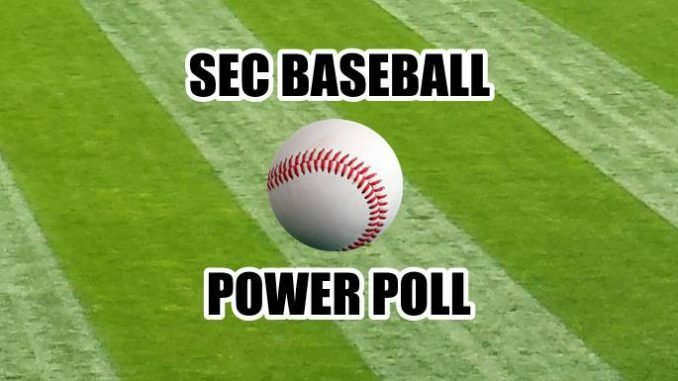 Look inside to see which teams moved up and which moved down in this week’s SEC Baseball Power Poll. (7-2) Georgia won a series at UK (2-1). The Bulldogs host No. 4 Vandy this weekend in Athens. (6-3) Vandy pulled off a home series victory over Tennessee (2-1). 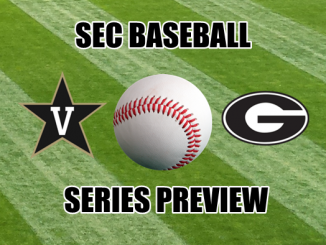 The Dores travel to redhot Georgia this weekend. (6-2-1) Aggies tie a series with Mizzou in College Station. Sunday game was declared a tie (2-2) in the 10th inning. Aggies visit Baton Rouge next. (6-3) At MSU, LSU lost the first game but won the next two to win the series. Next up is a showdown series at Texas A&M. (6-3) Hogs suffer home series loss to Ole Miss. No one saw that coming but the Rebs. A visit this weekend to Auburn could be tough. (6-3) Auburn wins 2 of 3 at S. Carolina. Mission accomplished. Tigers next host what is now a vulnerable Arkansas team next. (5-4) State gets a black eye at home against LSU. The Bulldogs visit a feisty Tennessee team next. (5-4) Rebels get a big time series victory at Arkansas. OM hosts a surging Florida team this weekend. (4-5) Wow, the Gators responded well after a very disappointing series at Vandy. Trip to Oxford is next up. (3-6) UT fell at Vandy 2-1 but displayed some good pitching. 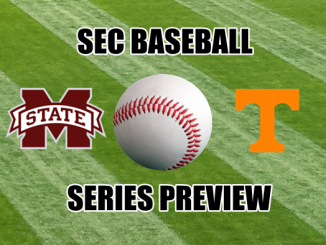 Vols host Miss. State this weekend. (3-5-1) Missouri gets the series tie at A&M, which is big for the Tigers. If they can get to the SEC-T they’ll probably also make the NCAA. 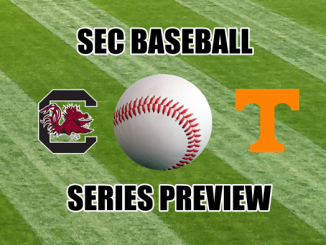 Home series with UK offers the Tigers a chance to build on SEC wins. (2-7) Bama loses at Florida by a combined 21-6 score. Tide might win a home series this weekend with S. Carolina. (2-7) Gamecocks lose a home series to Auburn (2-1). USC visits Alabama next and could get some wins. (1-8) Kentucky continues its miserable season. The Cats at least pulled out a win over Georgia, which not many other teams have done. UK travels to Missouri next. Records are current as of April 2.